Rueben Lifuka is a Zambian professional based in Lusaka, Zambia. He holds a Bachelor of Architecture (BArch) degree from the Copperbelt University and a Master of Science (MSc) in Integrated Environmental Management from the University of Bath (UK). Additionally, he has a Postgraduate Diploma in Project Management, and he is a 2011 Draper Hills summer fellow in Democracy, Development and Rule of Law from Stanford University (USA). Rueben currently runs his own consultancy firm – Dialogue Africa. The main focus of the firm is Organisational Development and Governance and it offers professional services in the area of programme design and evaluation, organisational capacity assessment and strategic planning among others. He is also a Director and shareholder in Riverine Development Associates – an Environmental Management firm based in Lusaka Zambia. 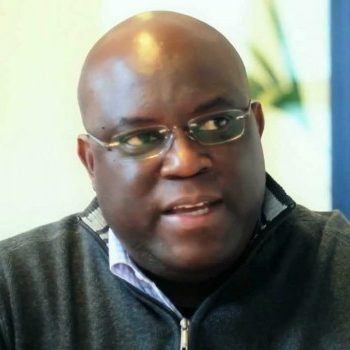 Rueben has been associated with Transparency International from 1999 when he was first invited by the contact group that established TI Zambia, to help them prepare the first strategic plan and mobilise resources for the operations of the chapter. He became an active member of the Chapter and was subsequently elected to the Board of TI Zambia in 2005 as Vice President and later in 2007 he ascended to the position of Chapter President. Rueben served in that position for two terms from 2005 to 2012. In 2008 in Athens, he was elected as a member of the TI International Board and was subsequently re-elected in this same position in 2011. During his tenure on the International Board, he had the privilege of serving on different Board committees including as Chairperson of the Membership Accreditation Committee and a member of the Finance Committee and Board Governance Committee. Rueben has represented TI at many different international and continental events and conferences. Rueben’s association with civil society and development work goes beyond TI. He is a founder member and former Board Chairperson of the prestigious Zambian Governance Foundation. He is the current Board Chairperson of Build It International – a UK charity working in Zambia. Further, he is the Chairperson of the National Governing Council for the Africa Peer Review Mechanism (APRM) for Zambia. In 2015, he was elected to serve as a Council member of the International Anti Corruption Conference (IACC). Rueben previously served on the Multi Sector Group for the Construction Sector Transparency Initiative (CoST) in Zambia, and was part of the Project Steering Committee for the Millennium Challenge Account for Zambia – from inception to compact stage under the auspices of the Millennium Challenge Corporation. Until early this year, he served on the Technical Committee appointed by the Republic President of Zambia, to draft a new Zambian Constitution.